Lucas is off to a writers’ retreat in Wales, very near where he spent the first few years of his life. He’s a horror writer hoping for inspiration, but doesn’t expect the house of his retreat to be embroiled in its own kind of horror. The proprietor, Julia, lost her husband and daughter in a tragic drowning accident two years previously, but Lily’s body never surfaced and Julia is convinced she’s still alive. Sheila introduced me to this book and I’m glad she did. This was as fun psychological mystery/thriller with not-actually-supernatural undertones that totally hit the spot. I loved the idea that the scene was set at a writers’ retreat, and I laughed myself silly meeting some of the other writers. Especially the literary snob. I’ve met that guy at real life writers’ retreats, ha! The atmospheric tone of the book was perfect and I was quickly pulled into the story. I read the book quickly, but not so quickly that I felt sick afterwards. It was a good balance. The story was also well-balanced. I had some suspicions about what was going on, many of which turned out to be wildly inaccurate, and one that came close to the truth. I never got even close to guessing the core of the mystery, though, which was nice. It was surprising, but not unrealistic. The one thing I disliked was the epilogue, which is par for the course for me. There wasn’t an extra twist, thank goodness, or something that turned the entire book on its head. There was just an unnecessary element that closed out the book in a way I disliked. I can’t say more without giving away spoilers, but as per usual, I wish that the epilogue had been left off and the last chapter had resolved in a slightly different, more realistic (and compassionate) way. Like I’ve said, that’s normal for me with these kinds of goods, and at least in this case the ending didn’t make me dislike the things that came before. 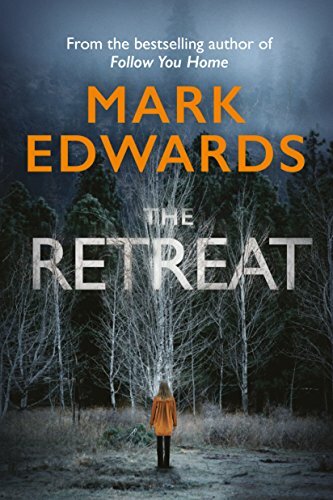 I enjoyed the book and think I might go try out some of Edwards’ other novels. PS – Isn’t that an amazing book cover?? This entry was posted in 2019, Adult, Prose and tagged atmospheric, RIP-worthy. Bookmark the permalink.